Happy Memorial Day!! We hope you all are out celebrating, relaxing, and eating some good food! hi Julie! I hope you're having a wonderful Memorial Day! Everything at the party looks lovely, thanks for hosting and I'm looking forward to celebrating #100 next week! 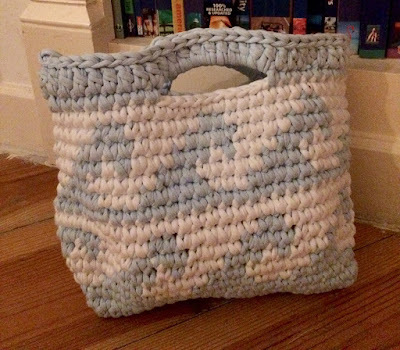 Isn't that crocheted purse so cute? I want to make the sheet pan dinner, too! I've always made that meal is a big pot of water. I can't believe it'll be your 100th party next week... Wow! Thanks for hosting, Julie, and Happy Memorial Day! Thanks for hosting this great party! I hope you're enjoying your holiday weekend. Thanks for the party!I hope you have a lovely week, Julie! Thank you for hosting, Julie! Hope you and yours are having a lovely long weekend. I've shared a vintage banana nut bread that's tasty but healthy too. Have a lovely week ahead! I hope you had a wonderful Memorial Day weekend. 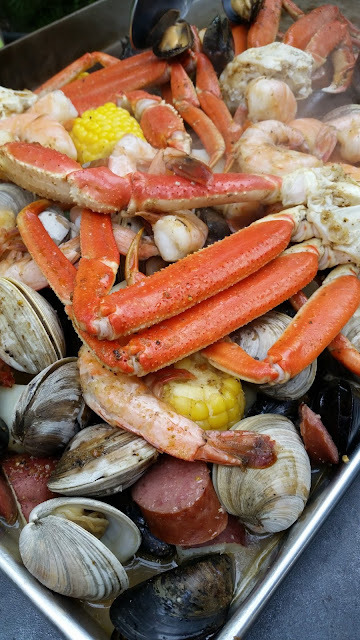 Thank you for featuring my seafood boil this week. That was a pleasant surprise and thanks for hosting each week.